Today is the end of our 2009 Read 52 books in 52 Weeks. Many many thanks to everyone on the Well Trained Mind forum who participated and thank you to those who followed our progress throughout the year. And a big heartfelt thank you to Kay who came up with the idea in the first place. How did we do? At the end of this post, will be Mr. Linky so folks can link to their wrap up posts on their blogs or for those who don't have a blog to simply let us know how many books they ended up reading. That goes for all of you unofficial participants, followers, lurkers and anonymous Google readers. I want to know how you did too. Don't be shy. Whether you read 1, 3, 20, 52, 100, or 200 or more, be proud of your accomplishment. Did you manage to read 52 books this year? Even if you didn't, how many did you manage to read? Did you discover a new author or a new genre. Did you rediscover an old classic or reread a book from years gone by? 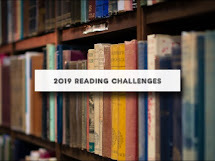 What book did you finish up the challenge with? Did you read from a list and fly by the seat of your pants choosing a different book each week? What was your least favorite book? Did you learn something new about reading, yourself or a topic you read? What is on your wish list for 2010? 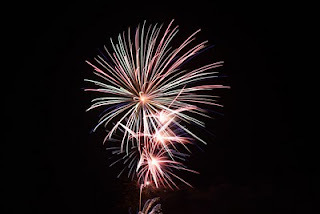 What authors, genres, or books would you like to see spotlighted on the blog for 2010? Just a few questions to think about as we wrap up our reading year. I'll be posting a 2009 Reading Wrap up post shortly on My Two Blessings and will link to it on Mr. Linky. I have a wish for the 2010 Read 52 Books in 52 Weeks Challenge. According to the stat counter the blog received 4,391 visits over the past year: 3,596 were first time visitors and 785 were returning visitors. How many commented? About 1%. We have a lot of shy visitors. So, my wish is that you won't be so shy in the future and let us know what you think - about anything you read here on 52 Books. I promise, we won't bite. I was thinking about you a couple/three weeks ago and had already made a goal to be better with this challenge. I just signed up to join the challenge for the new year.